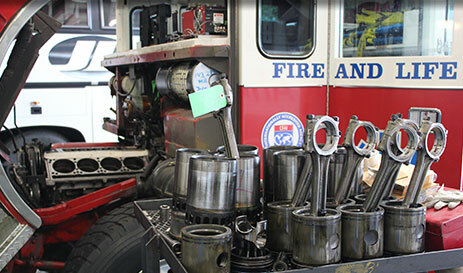 We follow the highest quality rebuild and service procedures because when lives are in the balance, equipment needs to work. For emergency responders, failure is not an option. Fire trucks and ambulances are among the vehicles that must quickly arrive at scenes that frequently involve matters of life and death. We understand this and believe in the highest quality rebuild and service procedures. Because when lives are in the balance, equipment needs to work. We make sure it does.